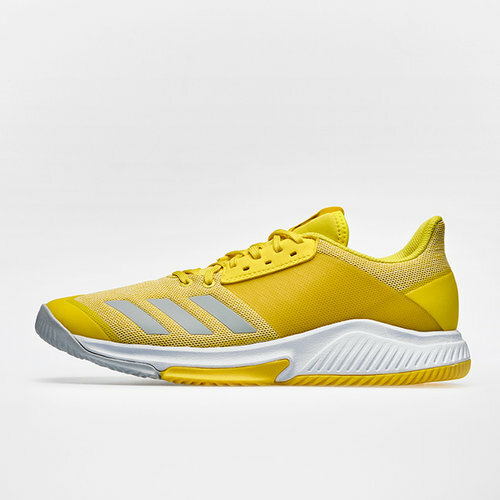 Offering impressive stability all game long, be a better player as soon as you lace up in these Crazyflight Team Netball Trainers adidas in Shock Yellow, Ash Silver and White. These high-quality netball trainers from adidas have been designed with some of the latest technology designed to get the very best out of the wearer, starting with the mesh upper which locks in the foot whilst offering competitive breathability as the action steps it up a notch. Whilst the lace closure also keeps the foot firmly in place for all the fast-paced transitions up and down the court your sure to be making.